We stock a full array of supplies and accessories (strings, capos, stands…). Part of the fun here is the little stuff, distinctive offerings from craft-oriented suppliers, accessories made in small workshops by people who are inspired to create. Here’s a sampling. Featuring handsewn Souldier Guitar, Mandolin and Banjo straps in a wide variety of vintage and distinctive fabrics, as well as guitar straps from Hang Over, lovely tapestry straps sewn in Atlanta. Visit our Straps page to see our selection. Handblown leaded glass slides from Diamond Bottlenecks in England. 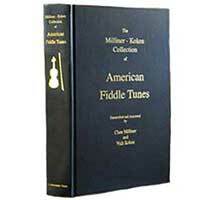 Tune collections and instructional materials, featuring publications from smaller companies. Hand-printed posters from Hatch Show Print, Spruce Tree T-Shirts with artwork by Spencer Walts. 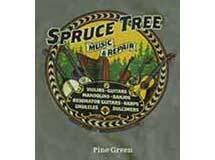 We offer carefully-chosen accessories for all the instruments we carry–Guitar, Banjo, Mandolin, Violin and so on. We’re highlighting Ukulele Accessories as an example (and because we get a lot of inquiries). It’ll give you some idea of the range and quality of accessories we stock. 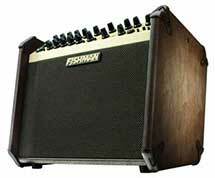 We carry and install pickups, primarily Fishman, and also offer Fishman’s line of amplifiers designed specifically for use with acoustic instruments.